Play Your Part programme is Brand South Africa’s nationwide programme that encourages active citizenship and looks to impact the country positively in order to fulfil the bigger picture of building a positive Nation Brand. Active citizenship means people get involved in their local communities and democracy at all levels, from towns and cities to nationwide projects and dedicating their own time/resources / talents to contribute to their local communities. There are numerous opportunities, big and small, for each and every individual to make a positive difference in the communities in which they live and operate. Founder of “Bow Tie Challenge”, Chris Megaffin, is a teacher who is originally from Toronto, Canada. He is a fashion activist who is on a mission to fight for social justice and he is using bow ties to achieve this. Earlier this year the Bow Tie Challenge was launched. The Bowtie Challenge is a fund-raising initiative that was born as a result of his passion for teaching, interest in fashion and desire to make a difference in his local community. Chris pledged to wear a different bow tie every day for 365 days a year starting January 1st, 2018. “As an international teacher, I have come across educational inequalities in every country where I have taught and I have always wondered what I could do to make difference in the lives of these children”. South Africa has some of the highest levels of socio-economic inequality in the world, and this is nowhere more apparent than in the educational system across South Africa. Statistics South Africa also show that children from disadvantaged backgrounds spend an average of 3 years less time in school than their privileged counterparts. Also, fewer of these children are put into early childhood development programmes – which we know to be fundamental to a child’s education and development. The situation feeds youth unemployment, and contributes to general instability in the country, as millions of South Africans cannot afford to buy food or access healthcare, decent sanitation and other essentials of a dignified life. Chris is using the campaign to raise awareness about the importance of education and to raise funds for Afrika Tikkun. Afrika Tikkun is a non-profit organization with a mission to provide children from underprivileged communities in South Africa with high-quality education and development from cradle to career. Ensuring quality education is a national priority. The National Development Plan describes education as a key lever to improving the quality of life in a society. Education improves the overall skills and abilities of the workforce, leading to greater productivity which contributes to economic growth. 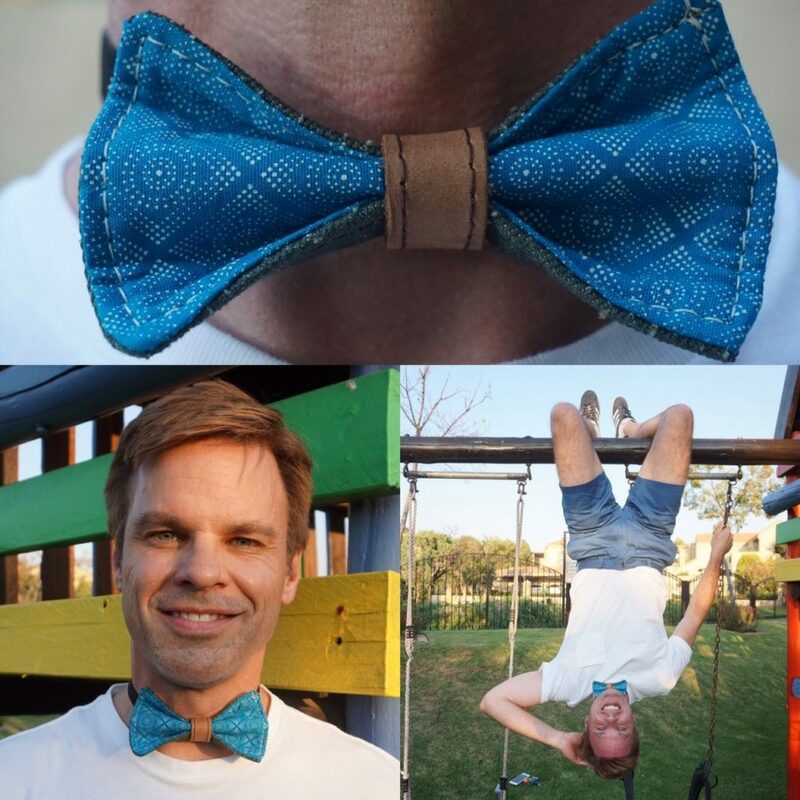 Chris is collaborating with some of South Africa’s up and coming designers who will help design the bow ties. He says this is to help support local businesses and give the designers exposure. Shwezu have designed a bow tie especially for the campaign in the colours of the South African flag. Shwezu is an online store for South African inspired fashion, shoes, bags, accessories and gifts all tied together by one common denominator, Shweshwe – the iconically South African fabric.